Ultimate convenience. Control your window treatments with just the touch of a button. It’s never been easier. Plus, the small, discreet Virtual Cord control (provided with every shade) can be mounted near the window or placed almost anywhere in the room—it can adjust the shade from up to 65 feet away. Streamlined programming. 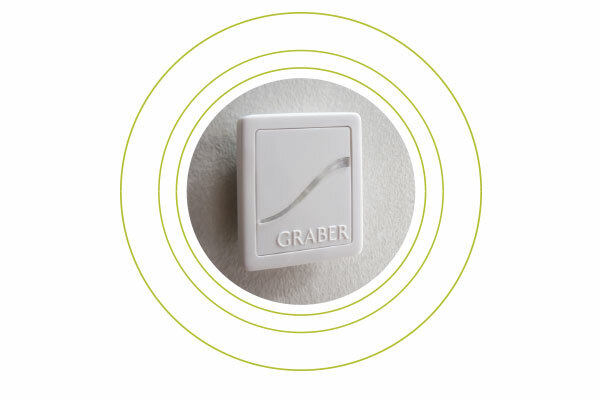 Upgrade to a single-channel remote to adjust a single shade or a room full of shades. You can raise or lower your shades completely, or easily program in a convenient intermediate position. So you can get the perfect amount of light, whenever you want it. Superior style. A clean, simple space without extra clutter and noise is what you desire. By eliminating the need for standard operating cords, motorized blinds and shades play a key role in creating that modern look, while ultra-quiet Somfy motors sustain a tranquil atmosphere. Unparalleled peace of mind. Smooth style and added convenience are undeniably appealing. But motorized blinds and shades offer so much more than that, too—because they’re cordless, they ensure that your home is simply safer for your family.